What a year it has been for Salesforce. 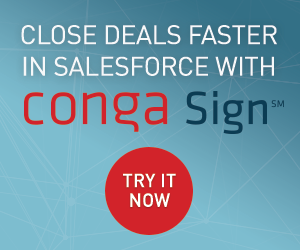 Termed “Benioff’s binge”, the acquisition spree was an essential strategy to maintain Salesforce’s position as a key market player in the face of fierce competition from other multinational software giants. 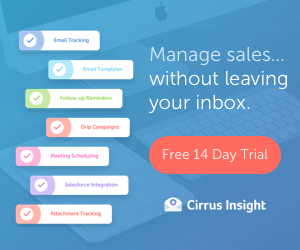 It became clear with the announcement of Einstein that each contributed something to spearheading the first AI CRM in the market. Overall, 2016 has seen 12 enterprises join the ever expanding Salesforce empire, totalling an estimated $5bn spend. It has certainly kept people talking, with pretty much a new acquisition every month. 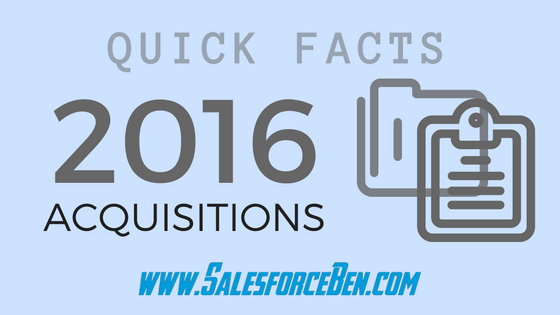 This post includes quick fact files about each acquisition that add detail to the 2016 Acquisitions infographic. 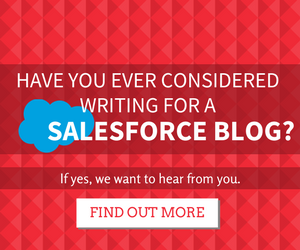 My big concern with this is how Salesforce hasn’t made money in 3 years. Yes they have a good product, but when for the past 3 years you have negative net profit that is very concerning. This year they may finally post an annual profit, because of a one time tax relief. After that it will be back to negative profit. Great this is a very important blog me. Thank sir for sharing this article.